May Day | Where's my backpack? May Day in Seattle takes two distinct forms. 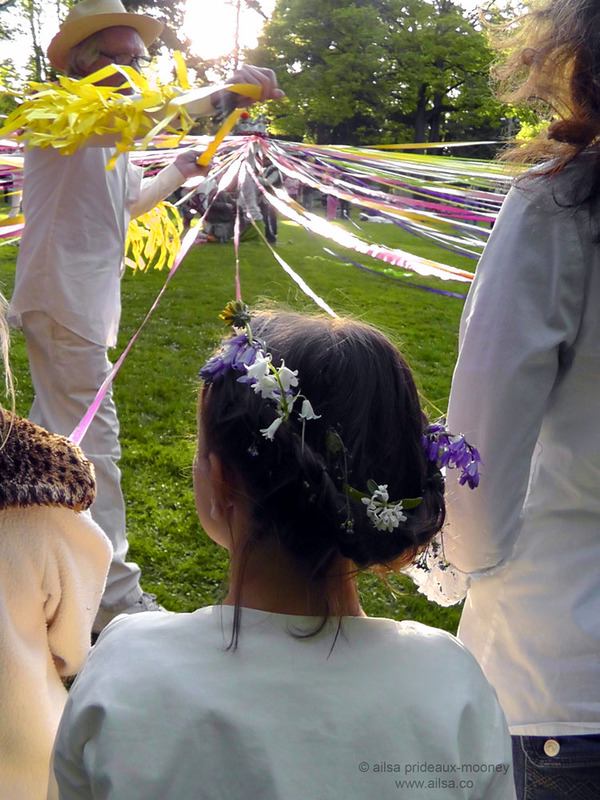 While some take to the streets to march in recognition of International Workers’ Day, others take a more ancient route and gather around maypoles to choose their May King and Queen. 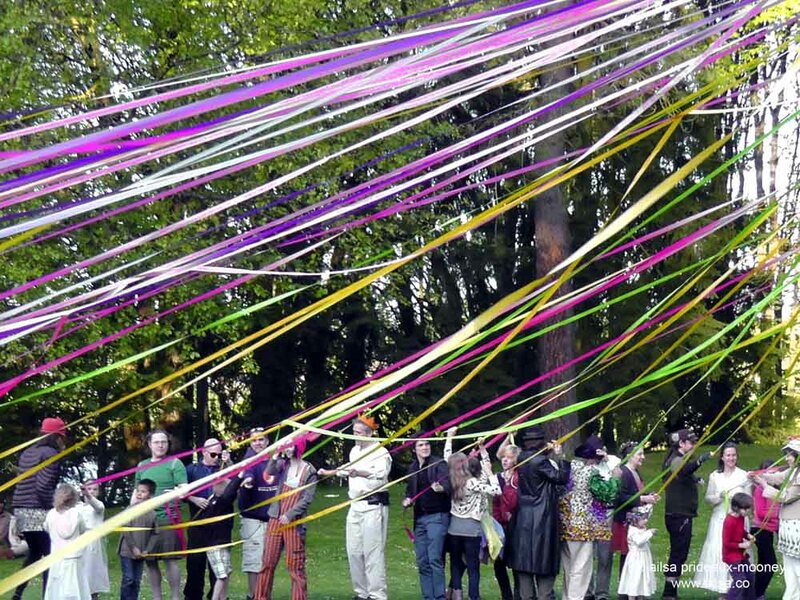 I went along to Woodland Park to watch as a group of Seattleites welcomed spring with music, games, dancing and an impressively ornate maypole decked with yards of ribbon. 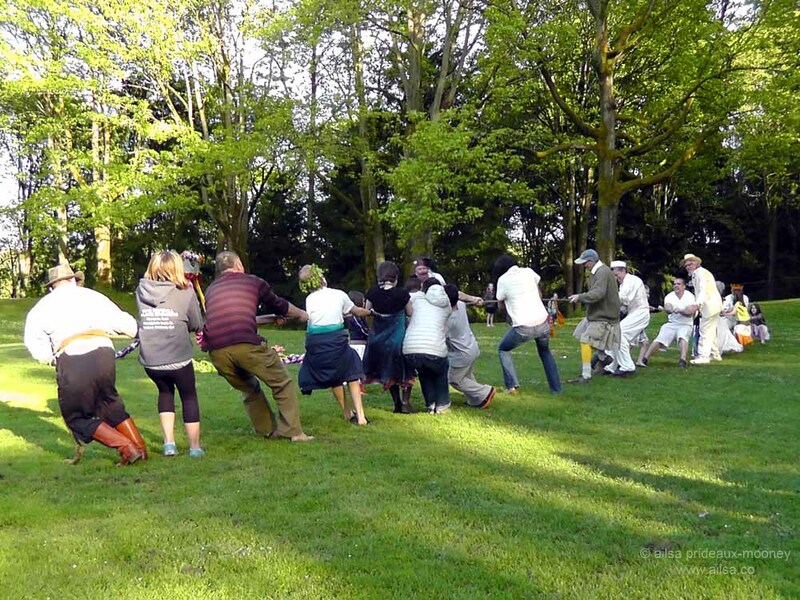 There were three-legged races, toss the egg competitions, tightrope walking and a good old-fashioned tug ‘o war. Flower garlands and brightly coloured ribbons reigned supreme; even bicycles joined in the festivities. 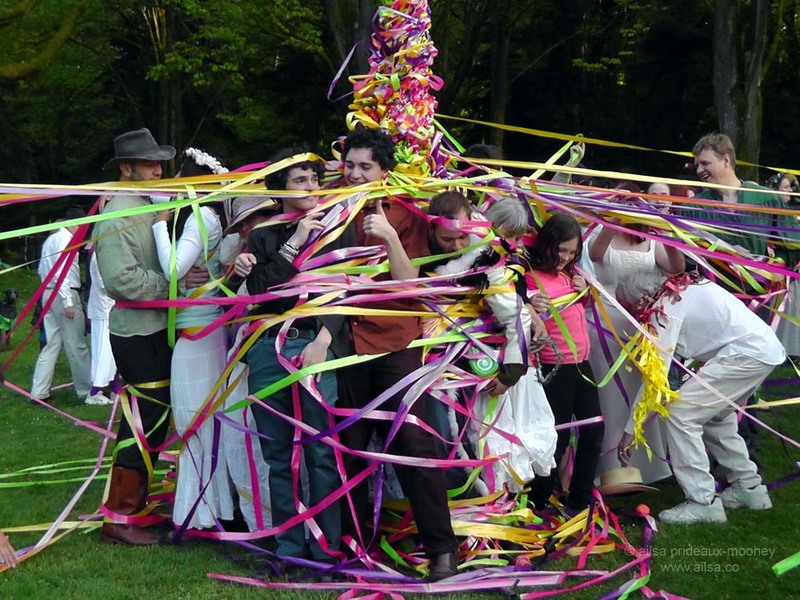 But the real spectacle was the raising of the maypole and the weaving of the ribbons as the crowds danced to the thump of live drumming. 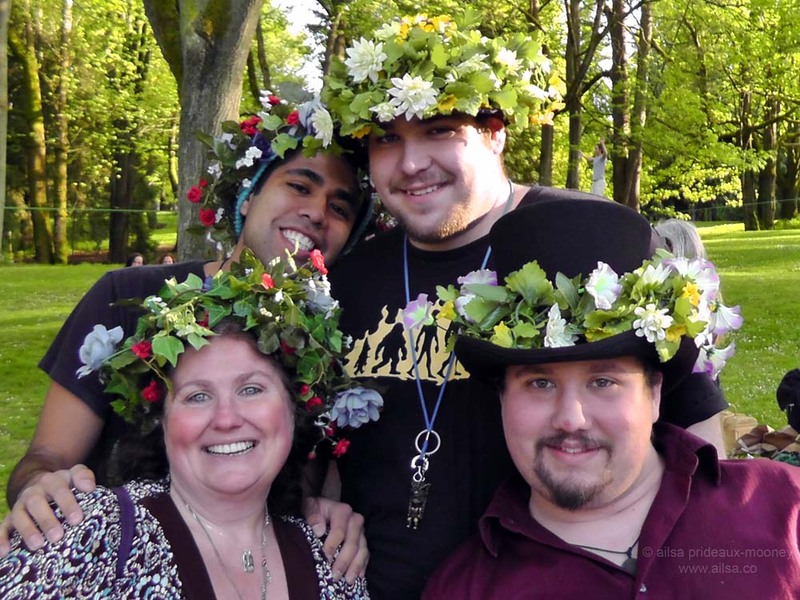 What did you do this May Day? This entry was posted in Photography, Travel, United States, Washington and tagged holidays, inspiration, photography, photos, pictures, travel, writing. Bookmark the permalink. this post is outstanding! i love every image, the bicycle would make a scrooge smile, and the thought of the tribal thump thump thumping of the drums making the maypole dance warp into a frenzy of color made me laugh! and laugh. how great it must have been to witness that! 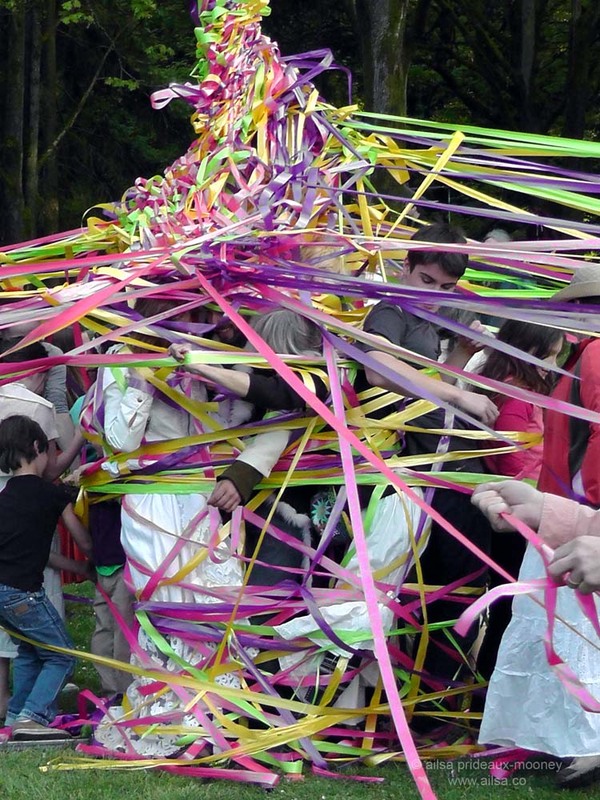 Especially that maypole in particular! 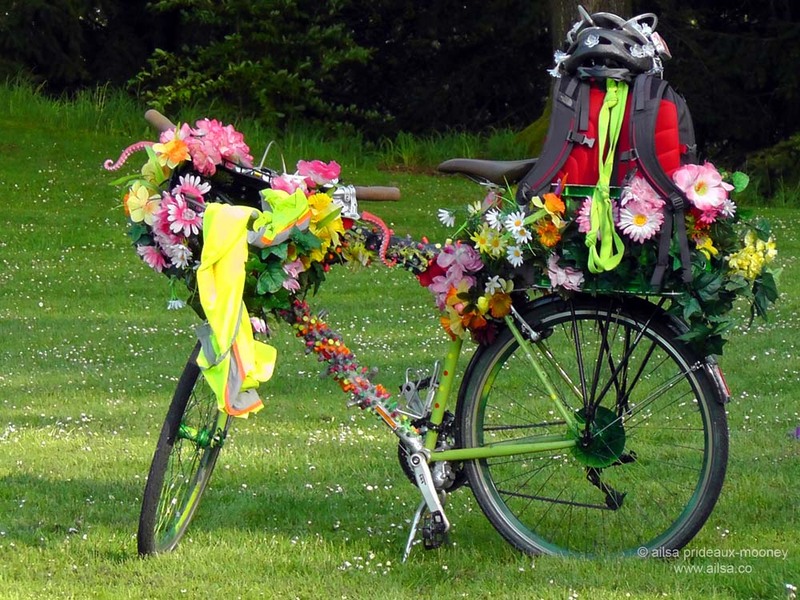 The decorated bicycle is wonderful. 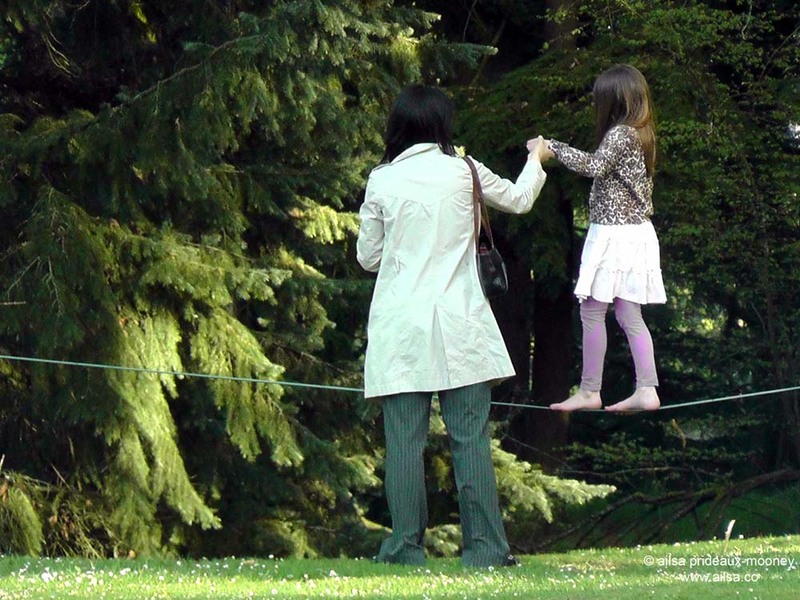 Oh my, it looks like a big bundle of fun for the whole family! 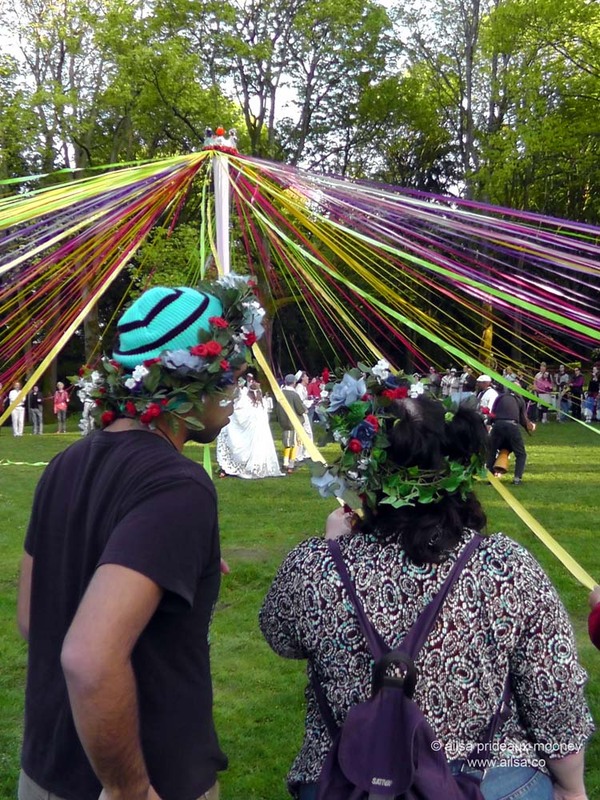 I’ve only seen one Maypole in the German alps but then we missed the festivities. Lovely to see THIS May Day in Seattle rather than what made all 3 top news channels last night. 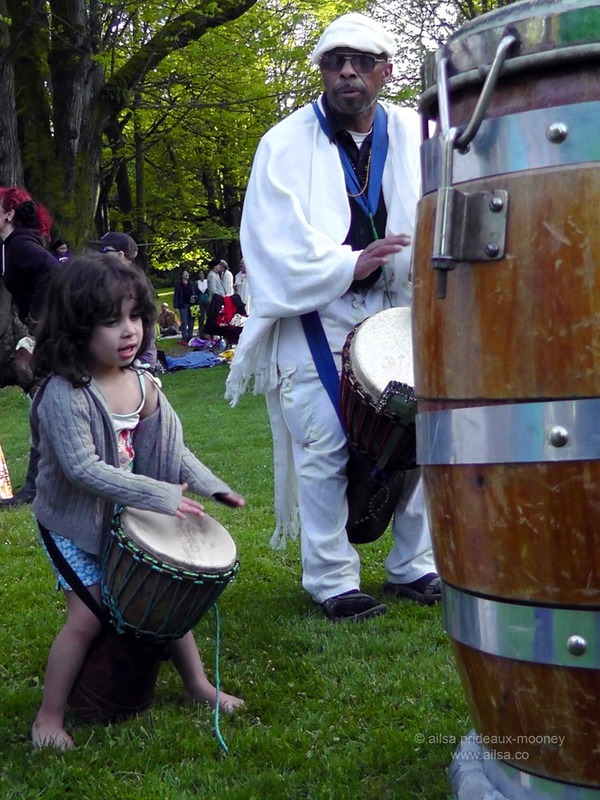 Maybe you should send some of these photos into KING, KOMO, and KIRO and show them what a wonderful outdoor celebration May Day can be. My granddaughter and I made a May Day basket for her parents even though she’s only 8 months old! 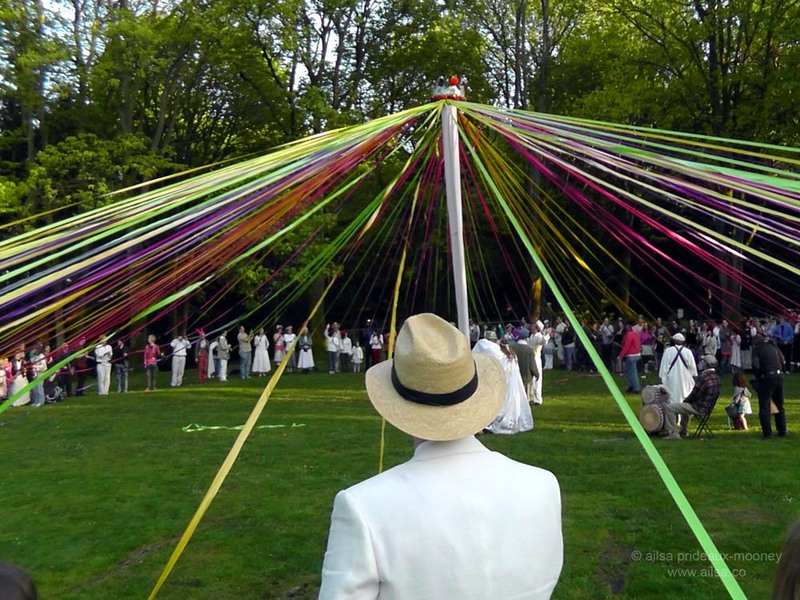 50 years ago, when I was in the 3rd grade, my 3rd grade class practiced for MONTHS to do the MayPole dance for the spring concert and PTA meeting. Dress rehearsal went perfect!!!!! Not so when it came to the actual event. Oh well!!!!! May 1st was also the day we’d as children fill little flower baskets, leave them on people’s porches, ring their door bells and run. What wonderful images. I find it hard to take photos of crowds – you did a great job. What a great party. Looks like such a colorful and festive occasion! Beautiful photos, Ailsa! What fun! It reminds me of a Renaissance Fair I went to a thousand years ago. The flowers are so pretty. 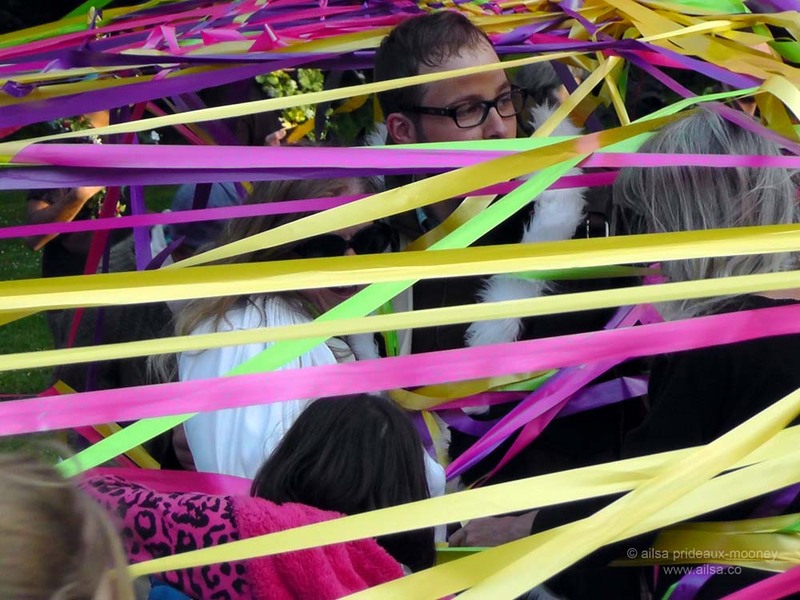 That ribbon dance must have been a hoot to watch. Nope, Gemma, I stayed on the other side of the camera 😉 It was an awful lot of fun, though! Ok the. I won’t try to figure out which one is you. ;-). Have a dance-filled day! What a joyous day. Thank you for sharing your adventure! Beautiful photos! 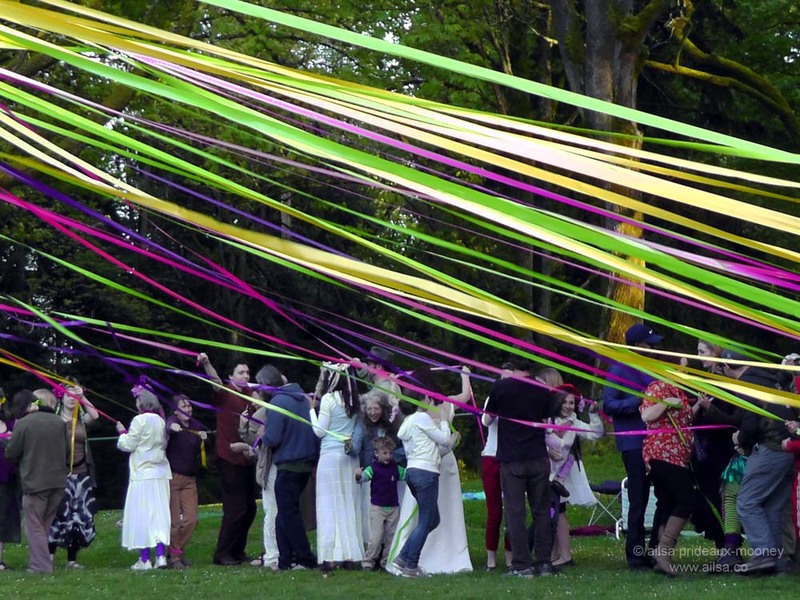 That Maypole dance was on a scale I haven’t seen before ! Fantastic . Great photos ~ so colorful. Happy Spring! 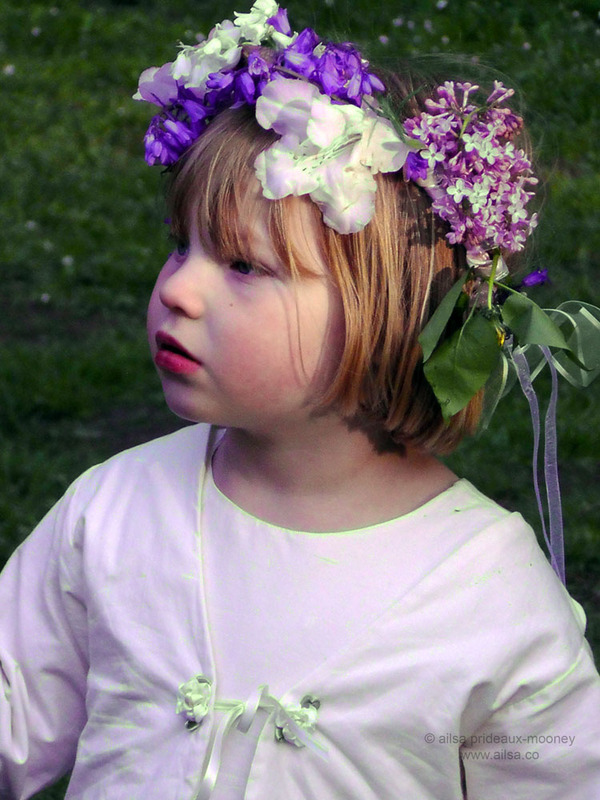 how fantastic ailsa, a wonderful spring celebration!! 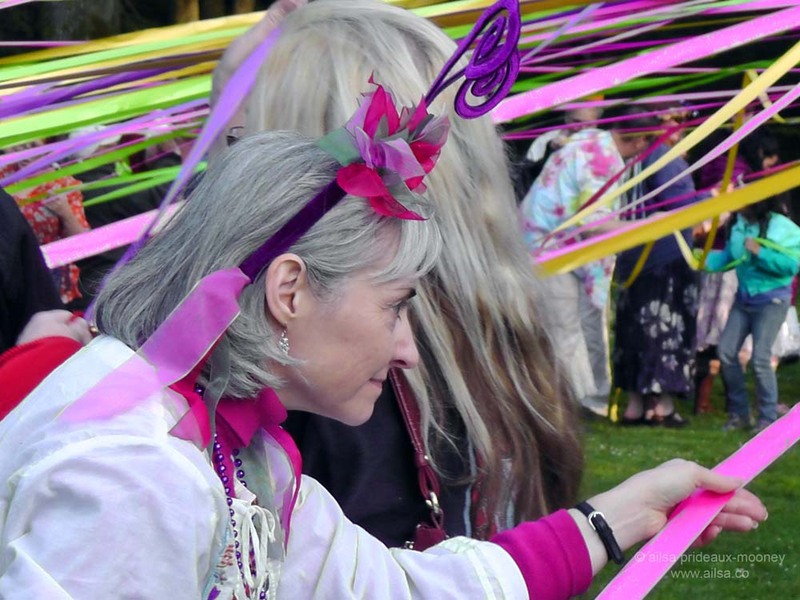 I used to maypole dance at infant school! Oh, what fun, takes me back to my schooldays! I read that the celebration in Seattle turned violent. Hopefully this is not the one. It wasn’t anywhere near here, Dorothy, thankfully. There were a handful of troublemakers at the downtown rally that started kicking off. As far as I know, there were more reporters than rioters, the media usually blows things way out of proportion. unfortunately I thought it was still April 😦 I want a bike like that and might just make one! 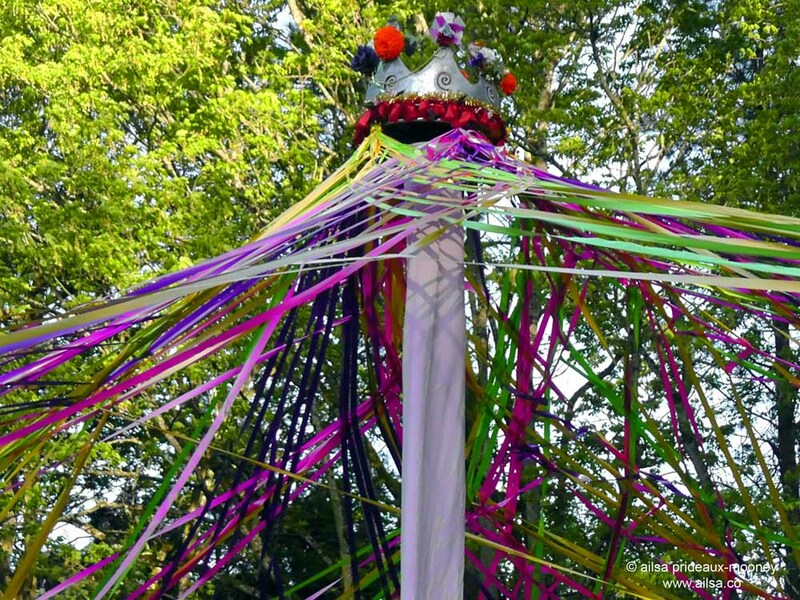 Colorful maypoles on display in your series. Nicely done. Did you find your backpack among the crowds? Nice post! Good photos! Happy Summer! Shades of my Yorkshire childhood! 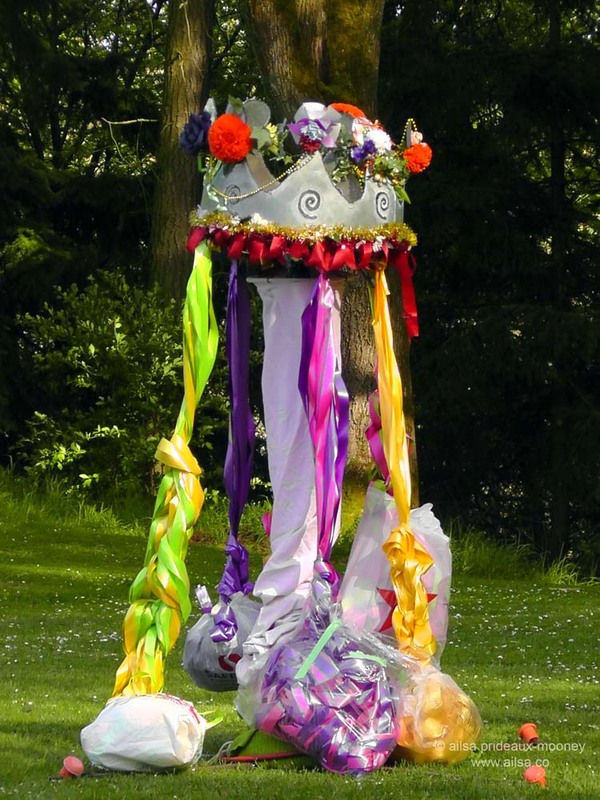 How I loved May Day and the Maypole dancing, the games, the fete, the feasting. Good that these traditions continue throughout the world. 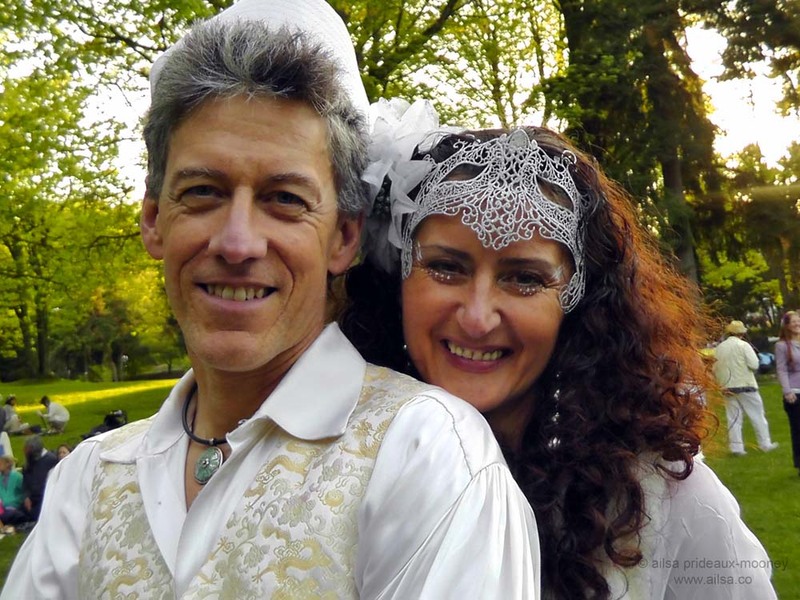 Lovely post – I’m wallowing in nostalgia!. What a lovely way of celebrating! 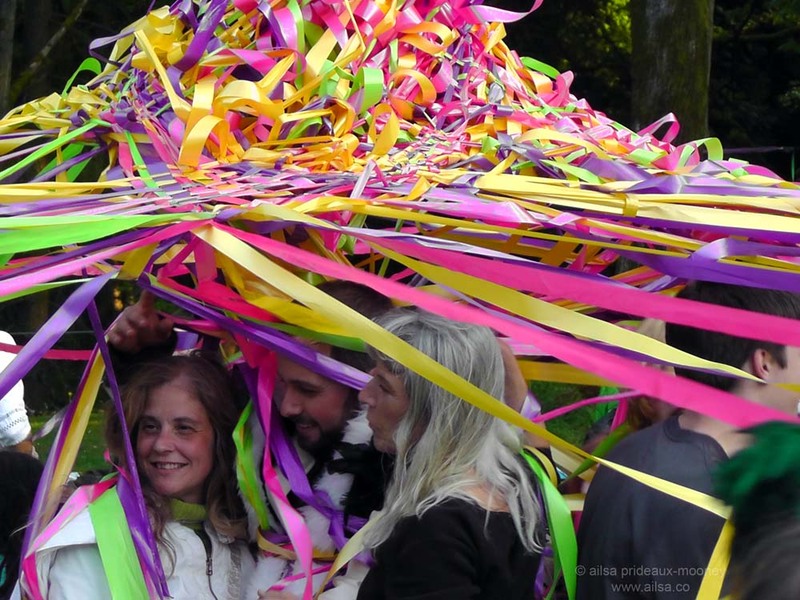 I have never seen such a Maypole with all those threads and weaving them together – interesting! Thank you for a most wonderful post! When I was in elementary school I used to participate in the pole weaving – but I don’t remember anyone getting stuck in the middle! 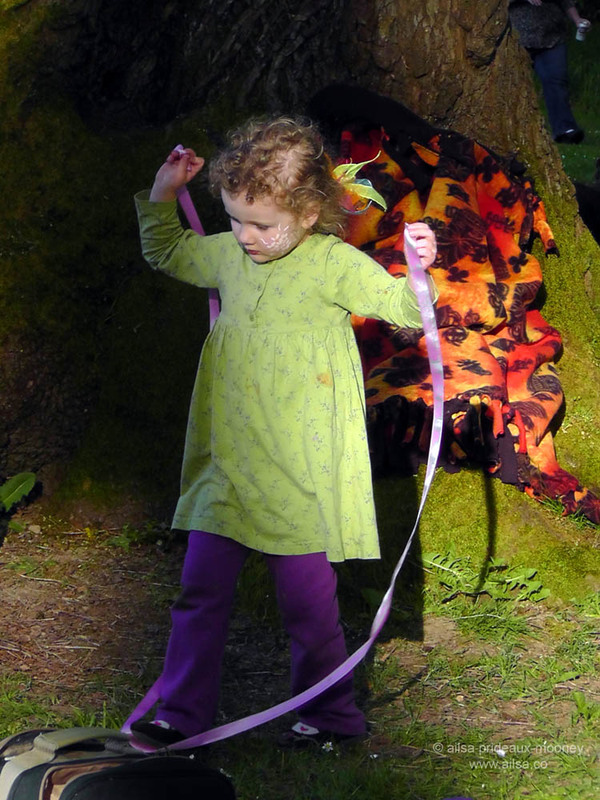 We used to rehearse for hours so that the ribbons wouldn’t get tangled. Must have been very frustrating for the teacher! Have to love that bike …. 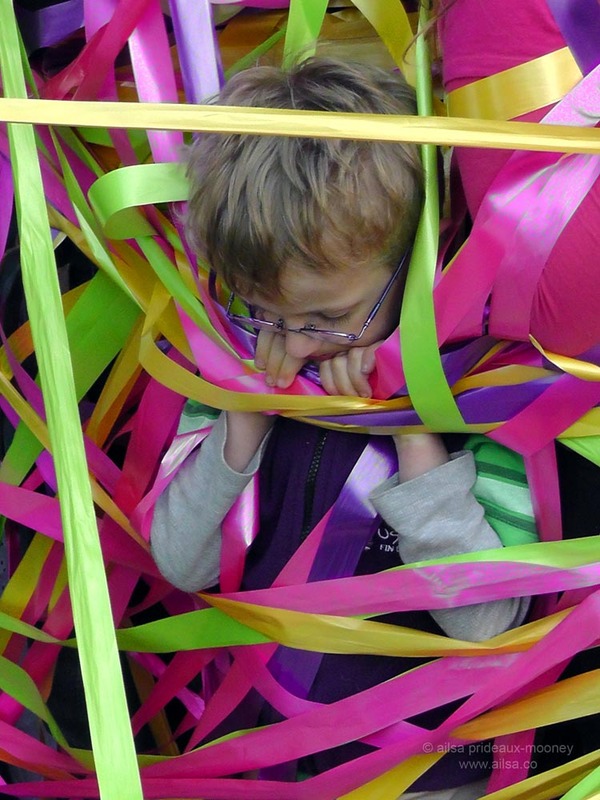 Brilliant photos of a very fun and colorful festival. 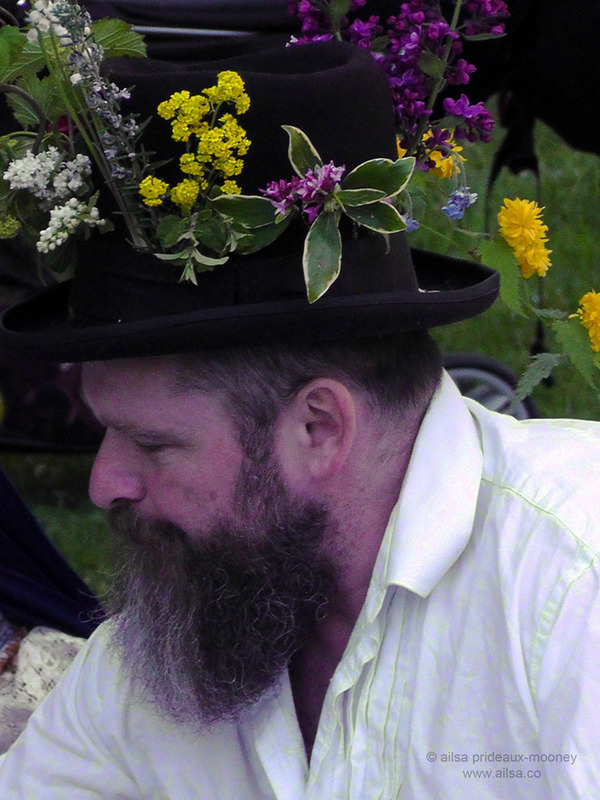 We put flowers in your hair on Midsummer. The photos with all the ribbons are excellent. Your so talent with your camera. awesome shots!! looks like it was fun! Fabulous images and oh what fun!